This is the much awaited 2nd volume to the excellent series teaching how to defeat knife fighters using only a short stick. (See Previous Volume). 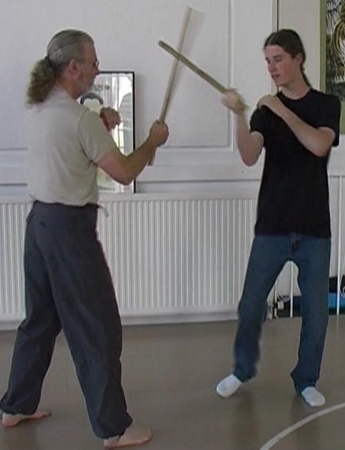 On this volume, Erle teaches in a very energetic class, the 5th and 6th methods, called "Changing hands" and "Switching The Footwork" where the students gets more into moving the feet and learning how to move correctly in such situations.